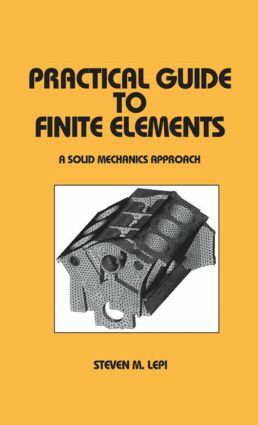 Assuming only basic knowledge of mathematics and engineering mechanics, this lucid reference introduces the fundamentals of finite element theory using easy-to-understand terms and simple problems-systematically grounding the practitioner in the basic principles then suggesting applications to more general cases. Furnishes a wealth of practical insights drawn from the extensive experience of a specialist in the field! Generously illustrated with over 200 detailed drawings to clarify discussions and containing key literature citations for more in-depth study of particular topics, this clearly written resource is an exceptional guide for mechanical, civil, aeronautic, automotive, electrical and electronics, and design engineers; engineering managers; and upper-level undergraduate, graduate, and continuing-education students in these disciplines. ". . .particularly easy to read. . . . . .helps dispel much of the mysticism that shrouds the finite element method. "